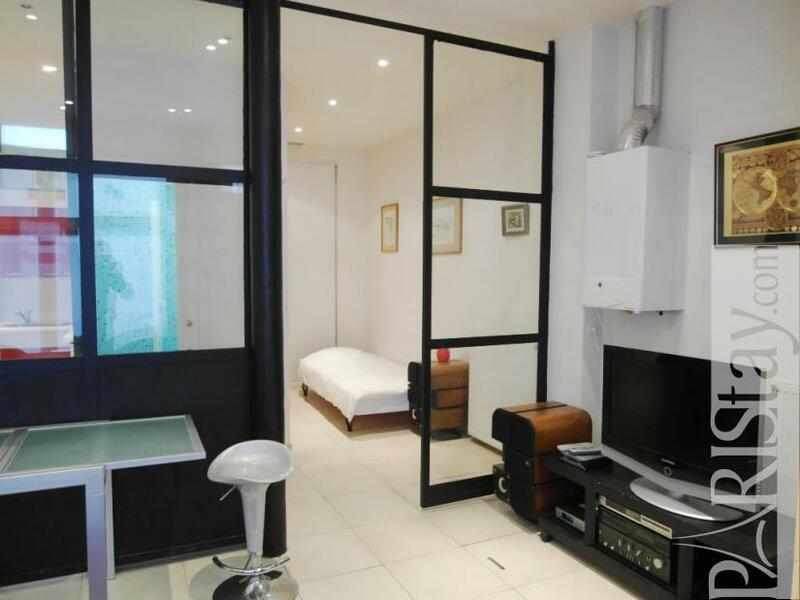 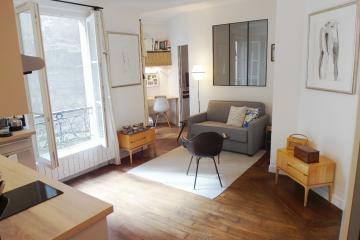 Charming studio in Paris located in the 9th district. 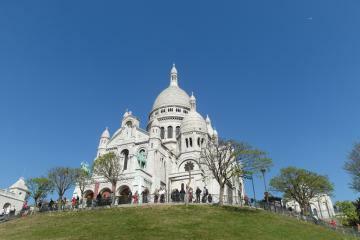 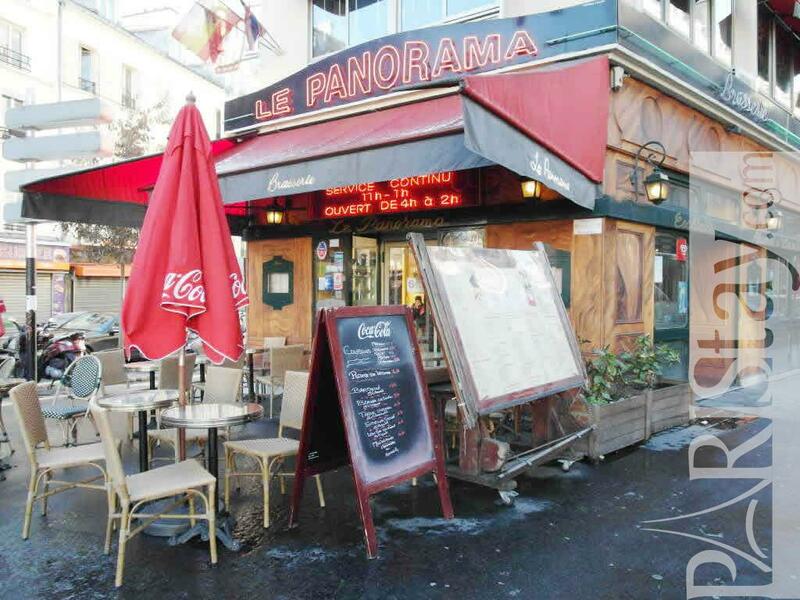 Just 5 minutes walk, you can reach the world well known and authentic Montmartre area. 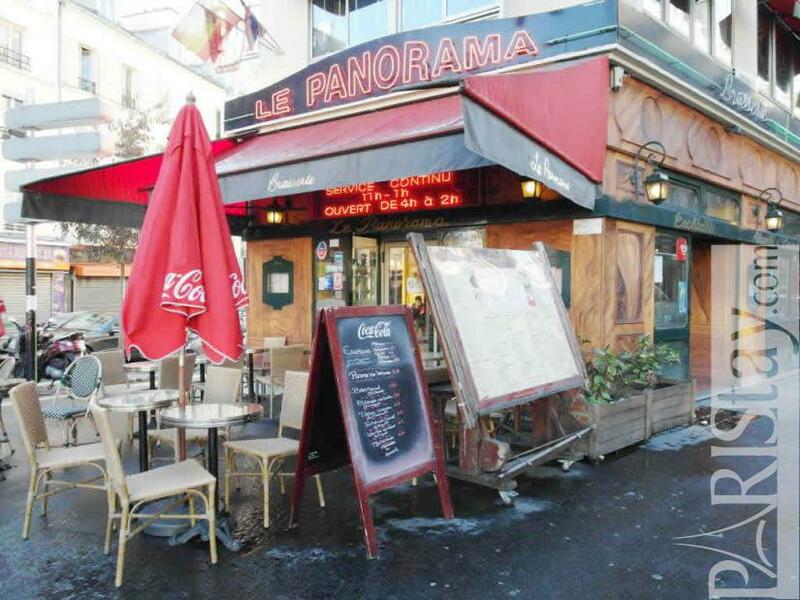 But you are away from all the noise of the crowds. 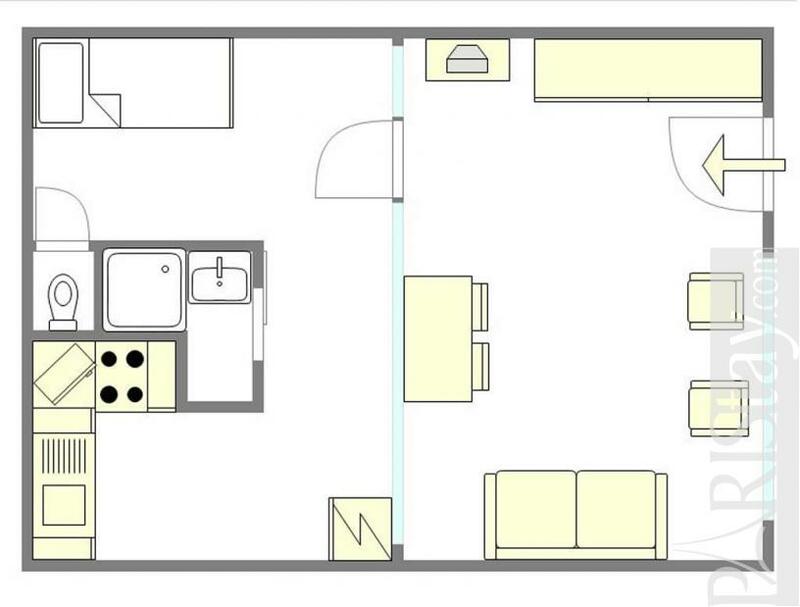 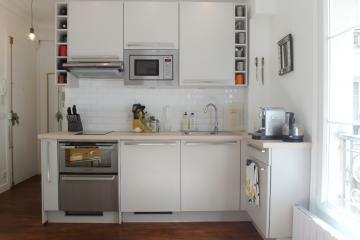 The interior is simple, modern and comfortable with a lot of cupboards. 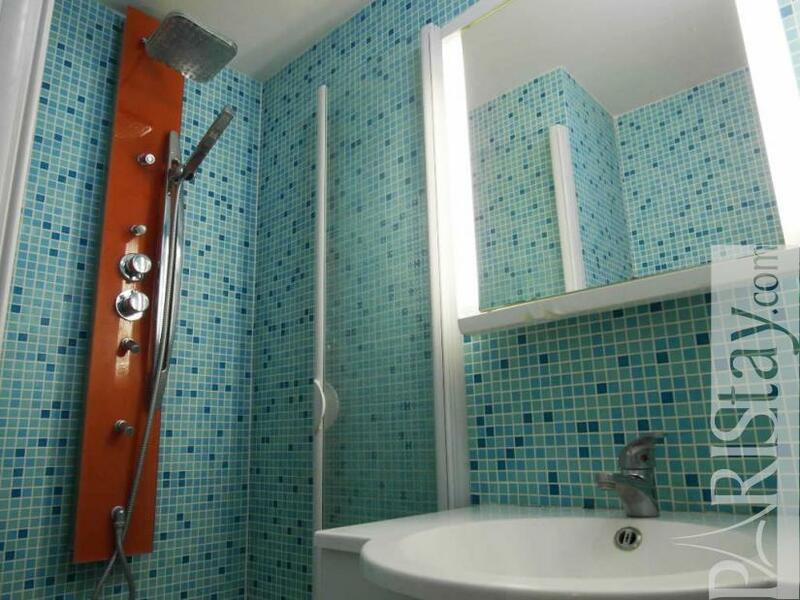 The materials are of quality and the lighting is thought to be nice and soft in every corner. Ideal long term Paris rental. 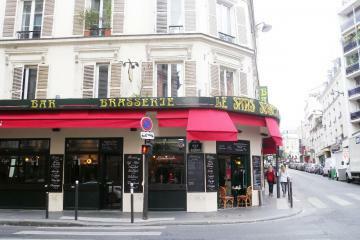 You are also close to (walking distance) all daily commodities in this lively Parisian 9th district which offer you many good quality local foods and services: bakeries, delicatessens, butchers, fishmonger, post office, laundry, super market, big household shops, book stores, opera, quantities of good restaurants, bars and cafes. 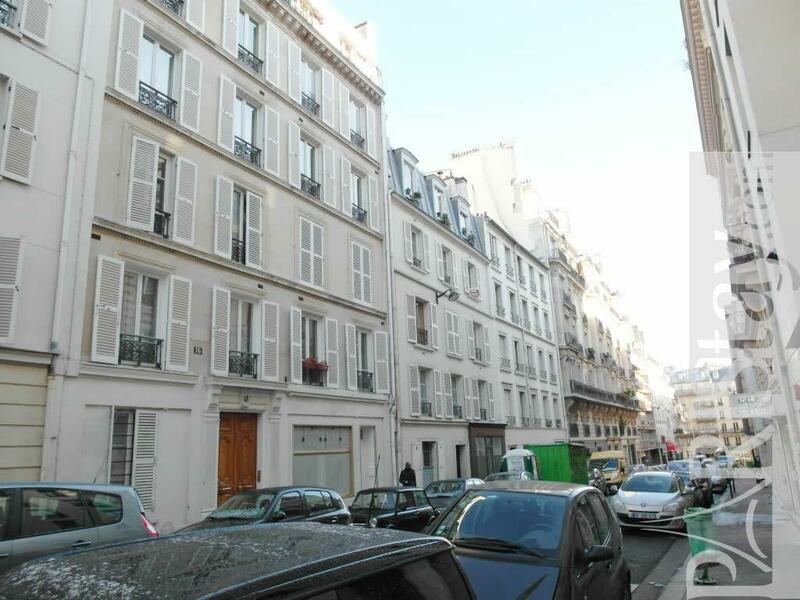 This housing in Paris is situated on the ground floor with the entrance facing the street. 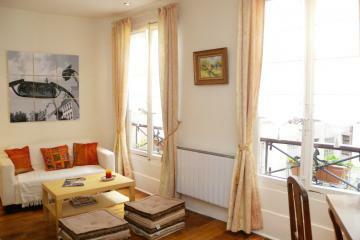 Please note;tarif forfait for the gas&electricity is due by the tenant and will be 100 euros per month. 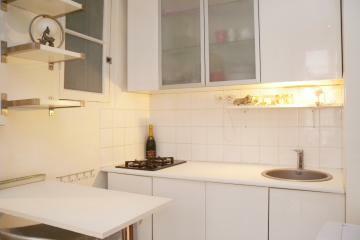 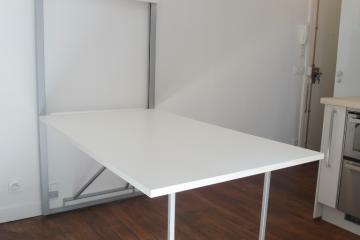 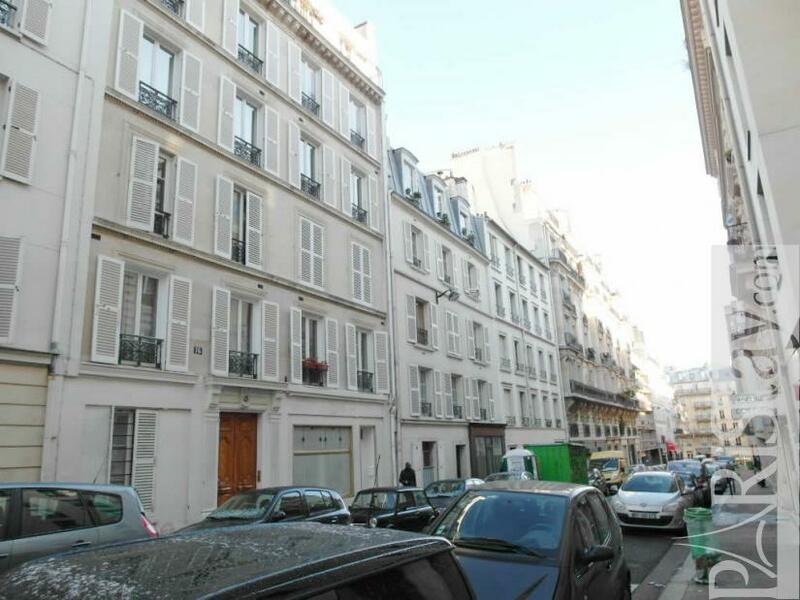 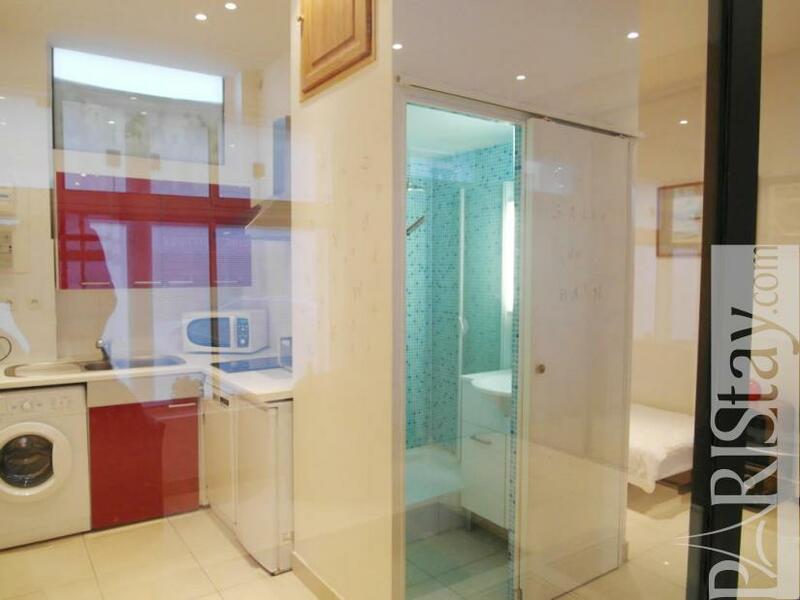 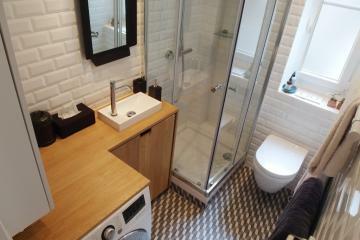 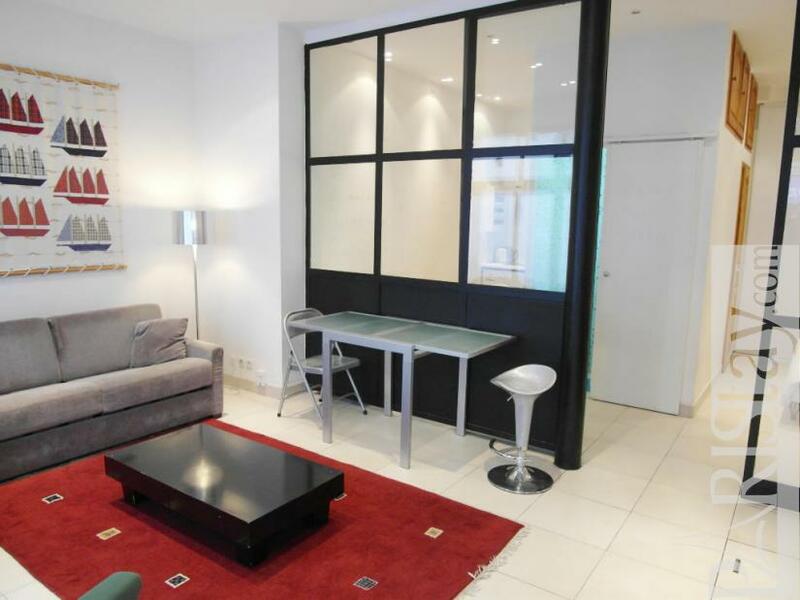 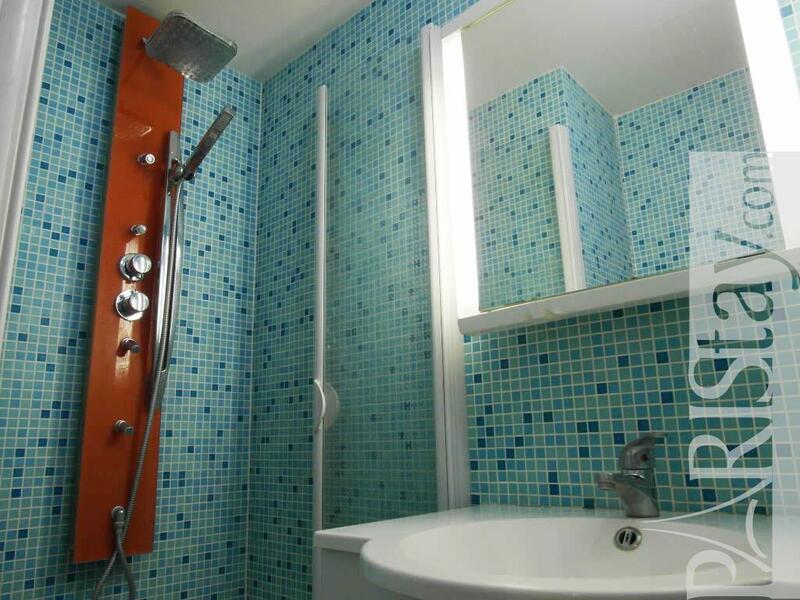 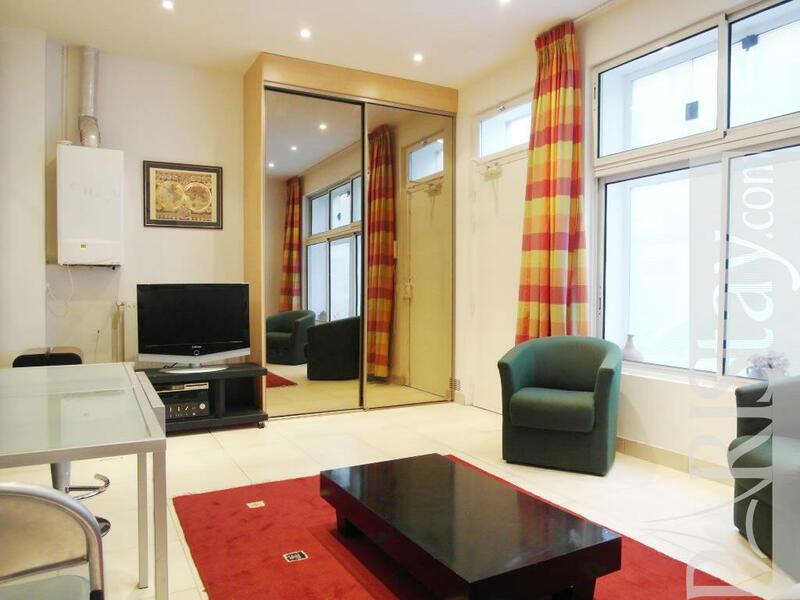 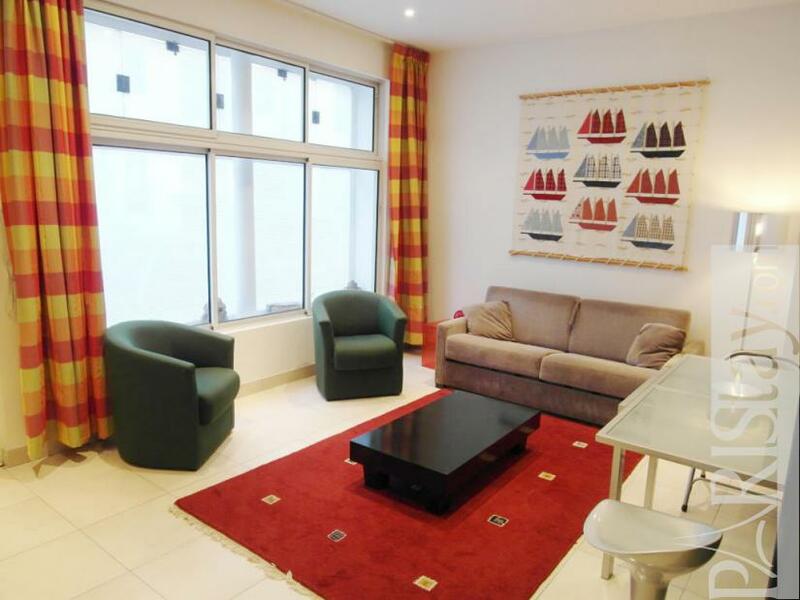 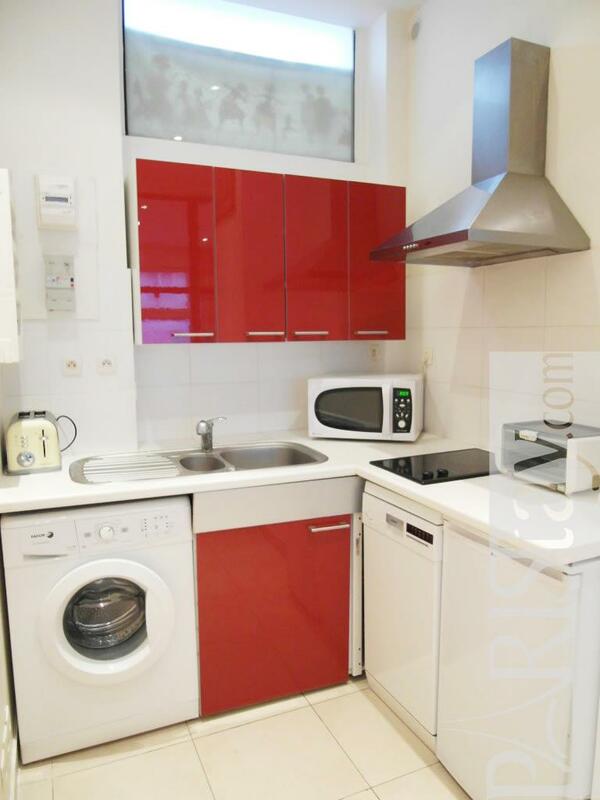 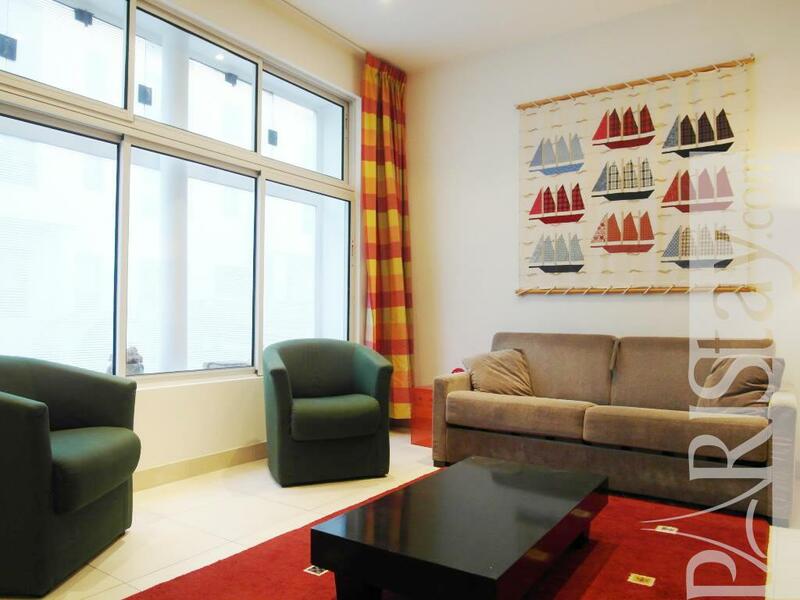 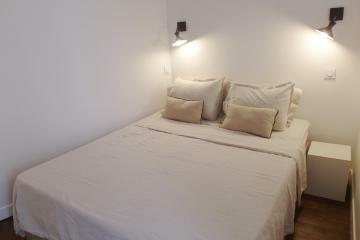 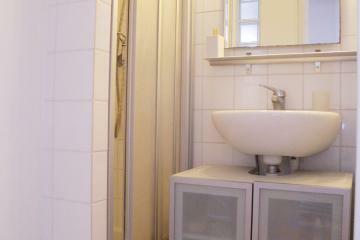 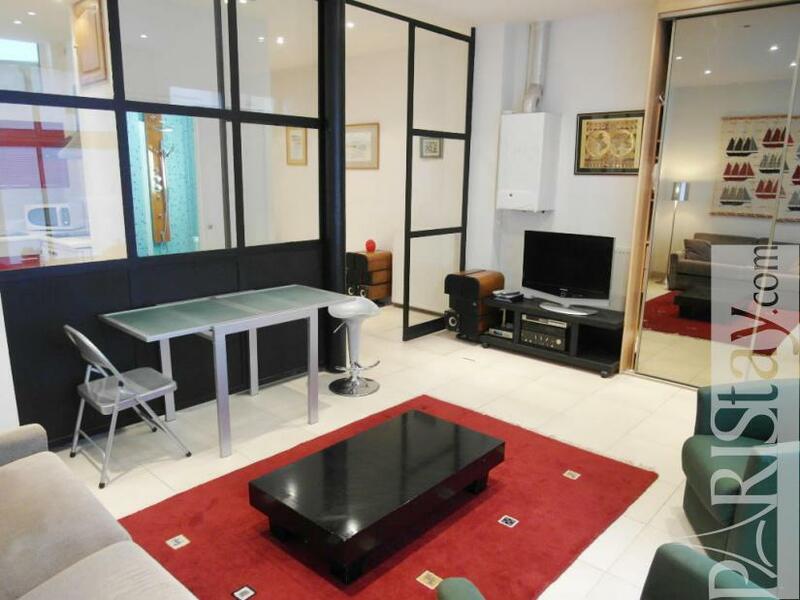 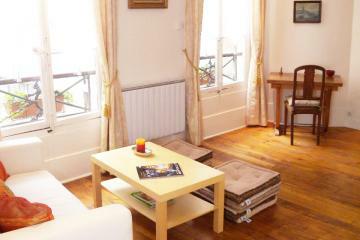 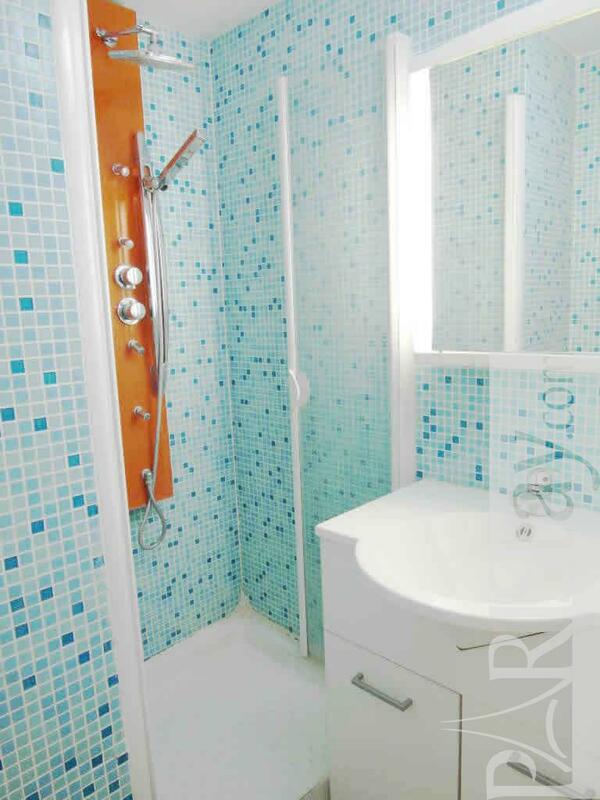 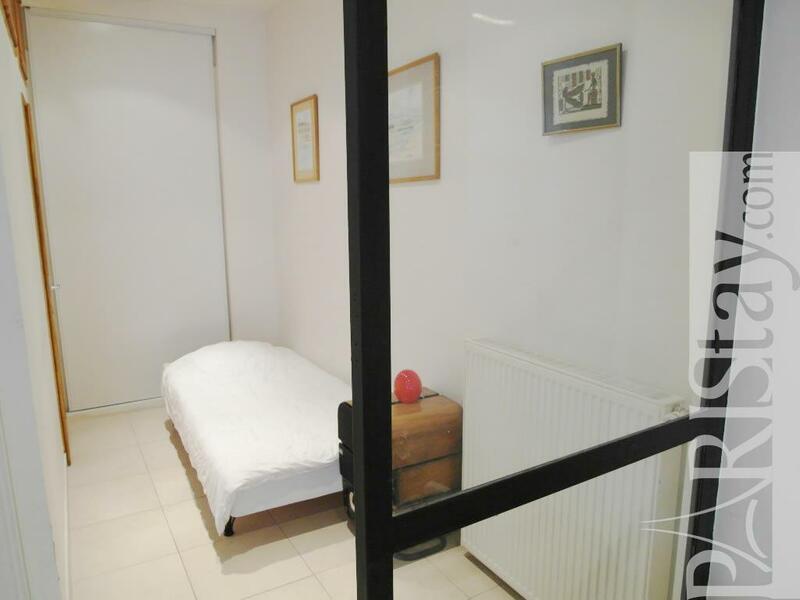 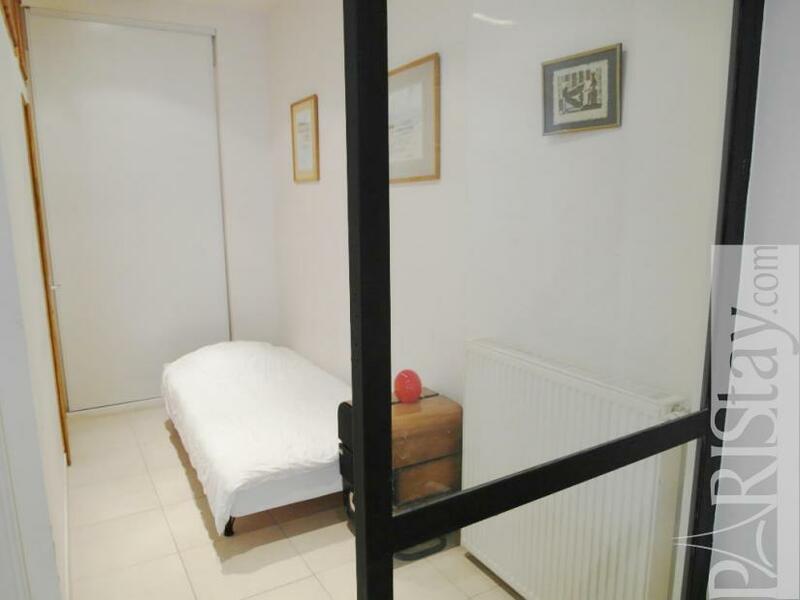 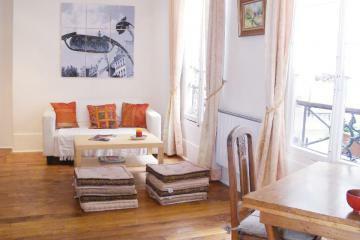 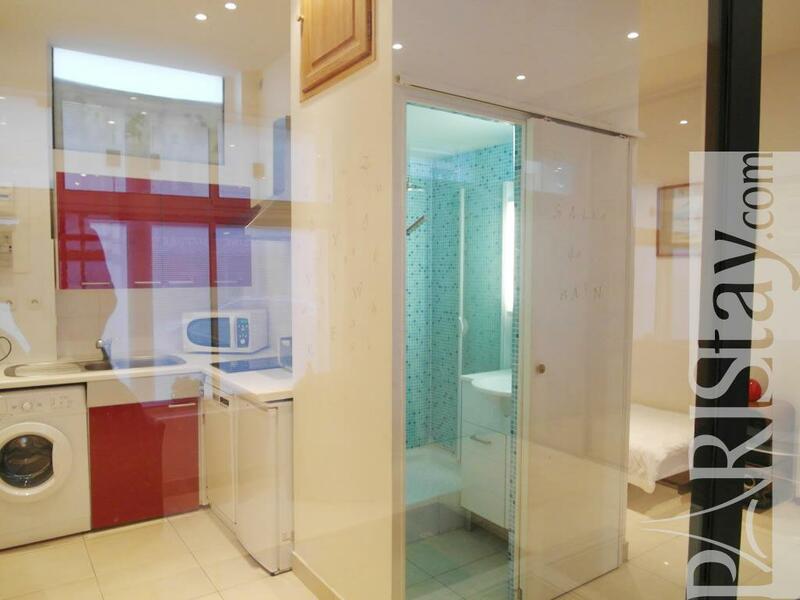 1850's Building, ground floor, without Lift, Studio Appartement, furnished, Approx: 38m² / 409 Sq.Ft.